Which Conditions Can Qualify One for Social Security Disability? In order to automatically qualify for social security disability, your medical condition must be listed in the Social Security Administration’s Blue Book, or list of impairments. The list contains both physical and mental conditions that may deem the patient eligible for SSDI or SSI, providing they meet the criteria specified for the listing. The Blue Book’s list of impairments automatically qualify a claimant for social security disability benefits, but impairments that are not listed in the Blue Book may also be considered. If the claimant’s condition is severe enough to interfere with his or her ability to work and the condition is well documented, benefits may still be granted by the Social Security Administration. 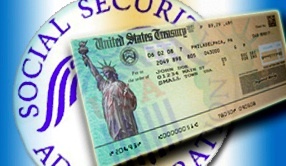 Have you been denied for Social Security benefits for which you think you’re eligible? Contact our office in either Pittsburgh or North Apollo and speak with one of Martin and Lerda’s attorneys who are experienced with social security disability claims about your exact situation and let us help you get the benefits you deserve!